I recently placed my very first order with at max and it was a great experience. That makes offers very competitive pricing they offer the best selection I can find anywhereon the net. 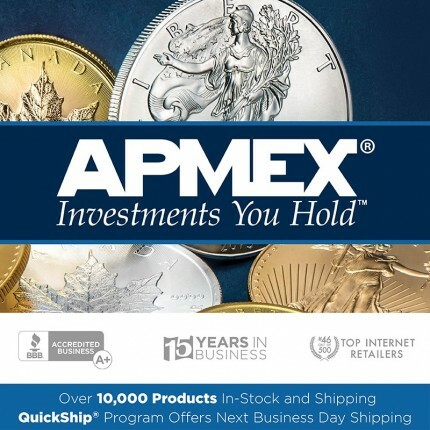 I will definitely be shopping with that APMEX in the near future and I look forward to seeing what they have the offer when I place my 2nd order. I'm really looking to buy $20 Saint Gaudens coins and it looks like they have a great selection of those as well. I wouldn't expect anything else from a company like APMEX.